How Good Can a Free, Open Source Book Really Be? This post is a continuation of the story of how I helped create a free, open source text book. The first post is here. 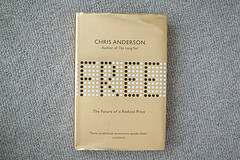 When one hears the words “free text book,” it is natural to question the quality of the product. I get that; I even wondered myself. So let me explain the process we went through in developing the OpenStax Principles of Economics book. The process was unlike any other writing project I’ve done before. First, it was fast. My first book took three years to write and then was two more years in production. Admittedly, this project was more like a revision, but by incorporating a team approach, the project took less than one year from start to finish. A large part of this was due to the excellent people I worked with, especially freelance development editor, Audrey Regan Solarino, who basically kept me sane during the process. We started with an initial manuscript—Tim Tayler’s Principles of Economics (2nd Edition). Using an existing manuscript has both pros and cons. First, it saved a significant amount of time. We had a structure and basic core content to work from. On the other hand, there were many changes necessary to make it a better book, one that fit into the vision of OpenStaxCollege. The initial manuscript had few real features, so we had to change that. We framed each chapter with a case study. The case was presented at the beginning of each chapter, and the solution, if you will, was explained at the end of each chapter based on the content in the chapter. This may not have been an original idea, but it made for a better book. We attempted to make the book a more immersive experience for students by dividing each chapter into modules. Each module includes interactive features in the body and at the end. The idea was to embed student active learning rather than relegate it to the end of the chapter, where it can be ignored. We wanted to make students think about what they were reading as they were reading it. Taylor’s manuscript included “Clear it Up” features, which explain a concept that students typically misunderstand, in the text. We added “Work it Out” features, heavily scaffolded examples or problems for the student to work through to understand a complex concept. Mostly, these were analytical things that require practice to perfect. Imagine the kind of conversation during office hours you would have to help a student work through a problem. That’s what the “Work it Outs” were designed to mimic. We then added several additional types of end-of-module questions. The original text had included standard review questions that required students to look up the answer in the text. Think definitions. We augmented these with “Self-Check” and “Critical Thinking” questions and “Numerical Problems”. Unlike the “Review Questions” which were factual, the “Self-Check” questions were applications of concepts explained in the text, but in different contexts. 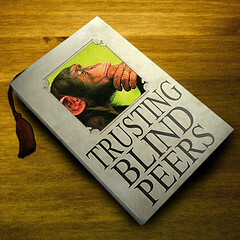 The Self-Check questions have “Click-to-Reveal” answers in the electronic formats of the book. The “Critical Thinking” questions are open-ended questions, requiring out-of-the-box thinking: Taking a concept and applying it to a very different context or asking students to apply it in an extreme case. The purpose is of the “Critical Thinking” questions is less about the answers and more about getting students to think more deeply about the content. The “Numerical Problems” were just that: numerical applications of the concepts in the module. These features were the result of feedback derived from an initial survey conducted with approximately 40 economics faculty from around the country, which is a great segue to the next point about how the book was developed: The process was driven by peer review. Now every publisher says their books are peer-reviewed. But what exactly does that mean? For my first book, I wrote a couple of sample chapters which I shopped around with my book proposal to publishers. When I finally found a publisher willing to take a risk on the book, the chapters were sent to three reviewers, I think, who read them and gave the thumbs up to the publisher. That was the extent of the peer-review. The OpenStax process was quite different. Every chapter was peer-reviewed at multiple stages. As mentioned above, the original Taylor manuscript was sent out to about 40 faculty for a high level review. For each chapter, reviewers were asked: What did you like? What did you dislike? What improvements can you suggest? The review comments were compiled by chapter and became the basis for my work. I read each Taylor chapter, considered the review comments and made revisions. In some cases, I essentially rewrote the chapter. In others, the revisions were less dramatic, updating data, changing wording in some cases, and of course, adding the new features. In parallel, Audrey, my development editor, read each chapter, giving it the same attention it would have received from an in-house development editor at a major publishing house. Once we were each satisfied, the revised chapter went out for review by a half dozen faculty experts from a variety of different types of institutions around the country. The reviews were collated and then I made revisions based on the consensus of the reviewers and editors (Audrey and others) I was working with. After the first few months, it became clear that I would not be able to complete the book on the timeline required by OpenStax. As a result, we brought in several other economists to revise chapters. I ended up doing about two thirds of the book (generally the introductory chapters and the macro portion), while the other economists did the remaining third. I reviewed each of their chapters and decided when it was complete, so in some ways my role was like the editor of a volume of published papers. The last stage in the OpenStax process was “accuracy review” in which each chapter was sent to a separate group of faculty experts to insure that everything written was accurate. I responded to their comments with one final set of revisions. Many of the reviewers really took ownership of their task, and the result was a much better book than what I initially drafted. One of the advantages of a digital text is the ability to revise after publication. With a traditional print text, revisions must await new “editions,” but something close to continuous revision is built into the OpenStax process. Users are encouraged to report errors and suggestions for improvement. Every month or two, I receive the list of suggestions and determine what corrections to make. I just finished my first iteration of this and I must say that many of the suggestions were quite good, leading to a better, more usable text. 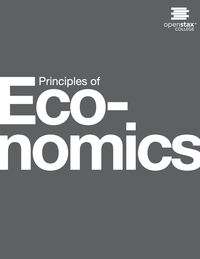 Is this the best principles of economics book on the market? For my answer to that question, you’ll have to wait for my next post. One Response to How Good Can a Free, Open Source Book Really Be? Congratulations on the Econ book. And you were so fortunate to work with Audrey–she and I were colleagues at Pearson back in the day, and she’s really top-notch!